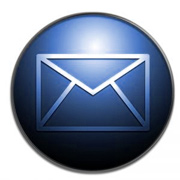 LISTSERV is still widely used to e-mail newsletters, updates and announcements to subscribers. But how did they become subscribers? The waiting game is over. CSS3 is finally here. No longer a web designer’s pipe dream, this specification has finally caught on with modern, standards-compliant browsers. Version control systems (VCS) are blessings to developers like me who work on single project with other developers. Too often someone would accidentally overwrite another’s code, possibly erasing hours of hard work. One of the simplest ways of describing the internet is to simply refer to it as “the web”. But pause for a moment and reflect on what “the web” symbolizes. ADAM is one of the largest online consumer health encyclopedias and is leveraged by many health care institutions as an patient-centric encyclopedia of information.